The marker is a low lectern shaped piece of granite on single base with a simple bronze plaque. 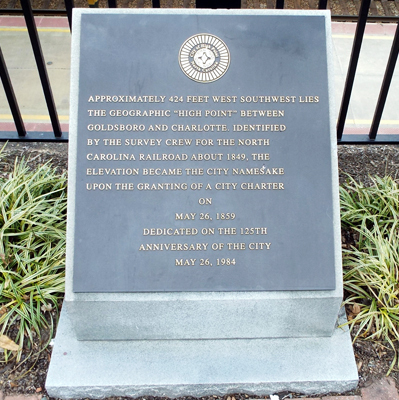 The City of High Point logo appears above the inscription. 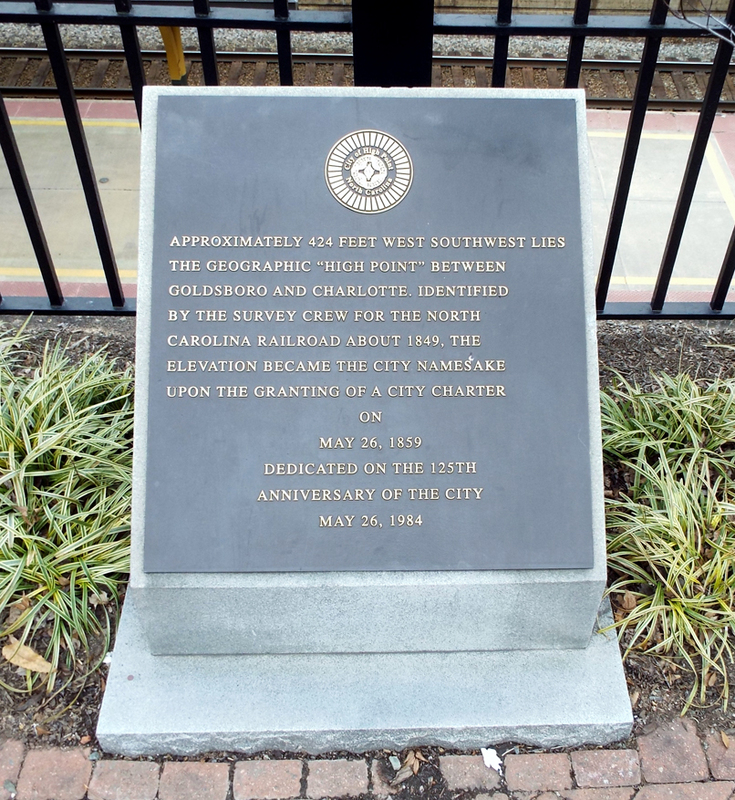 The marker is located on a brick patio outside the restored High Point Train depot on the corner of W. High Street and N. Main Street along with the Plank Road Foreman statue. On the corner across E. High Street is a plaque to General Maxwell Reid Thurman. A brick plaza, or, Memorial Park, at the corner of N. Main Street and E. High Avenue, includes several monuments and markers: Veterans Memorial, Revolutionary War Patriots, POW/MIA plaque, African American Gold Star plaque, World War Two Honor Roll, WWI Doughboy statue.